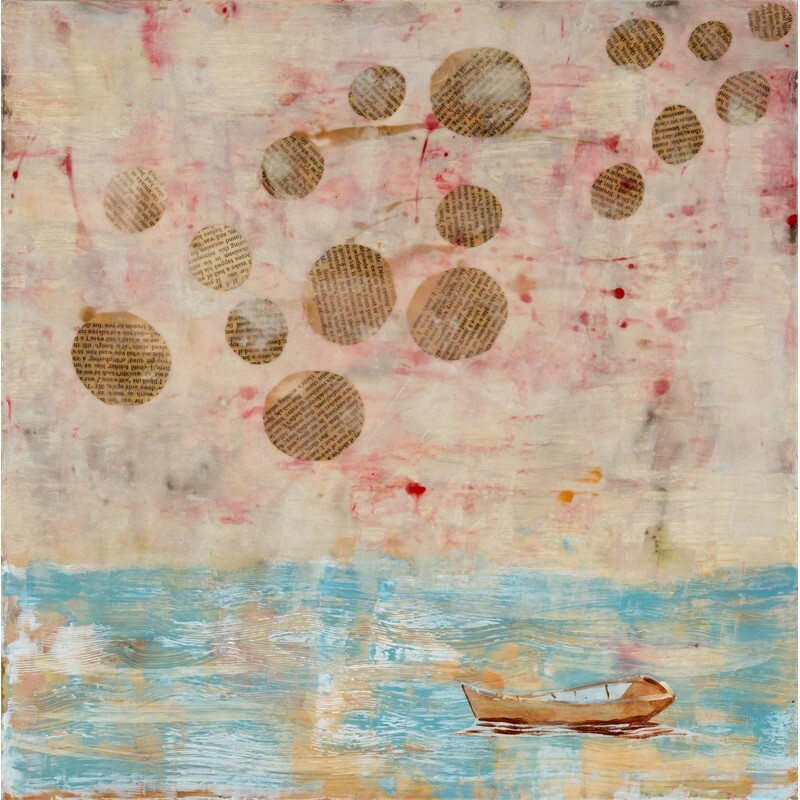 Vennema works in the encaustic medium to create luminous multilayered works made from a molten mixture of beeswax, damar crystals, pigments, and found materials. 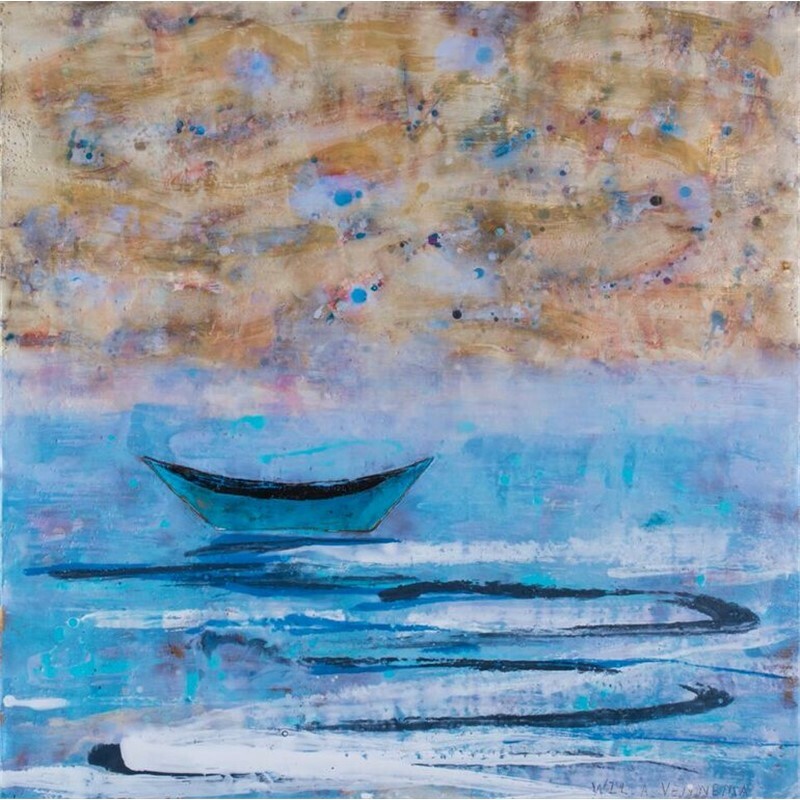 Vennema’s work is always evolving, and her paintings range from the abstract, as in her recent series “Hand Work”, to the semi-representational as in “The Boat Series” or “House Series”. 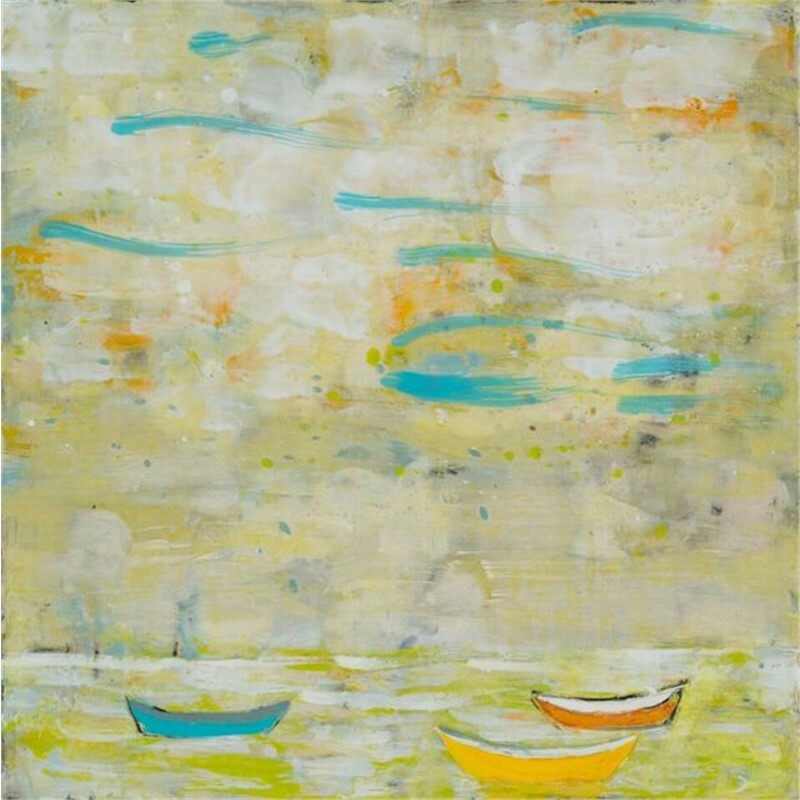 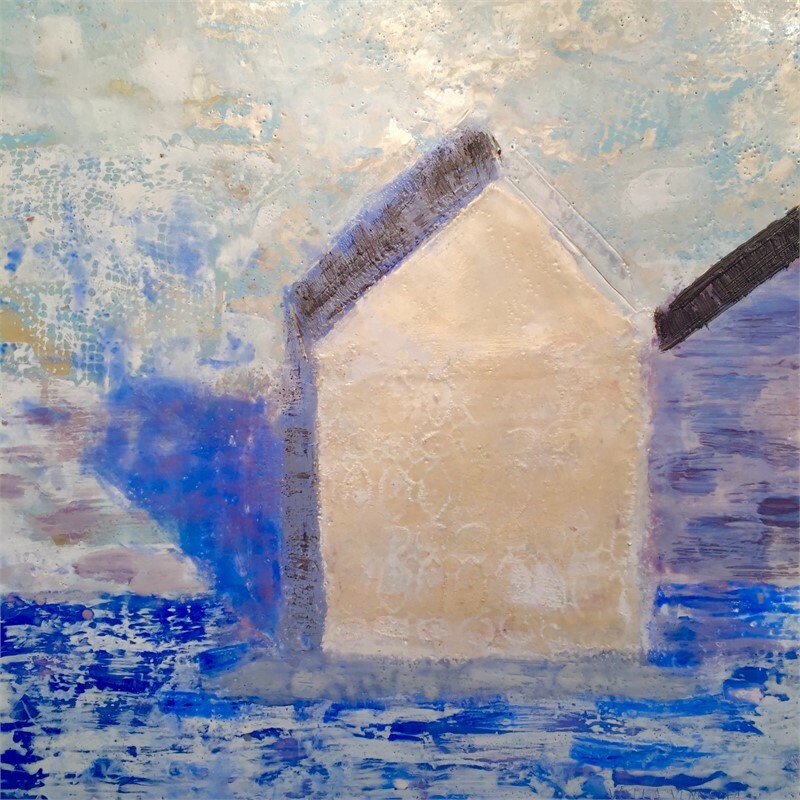 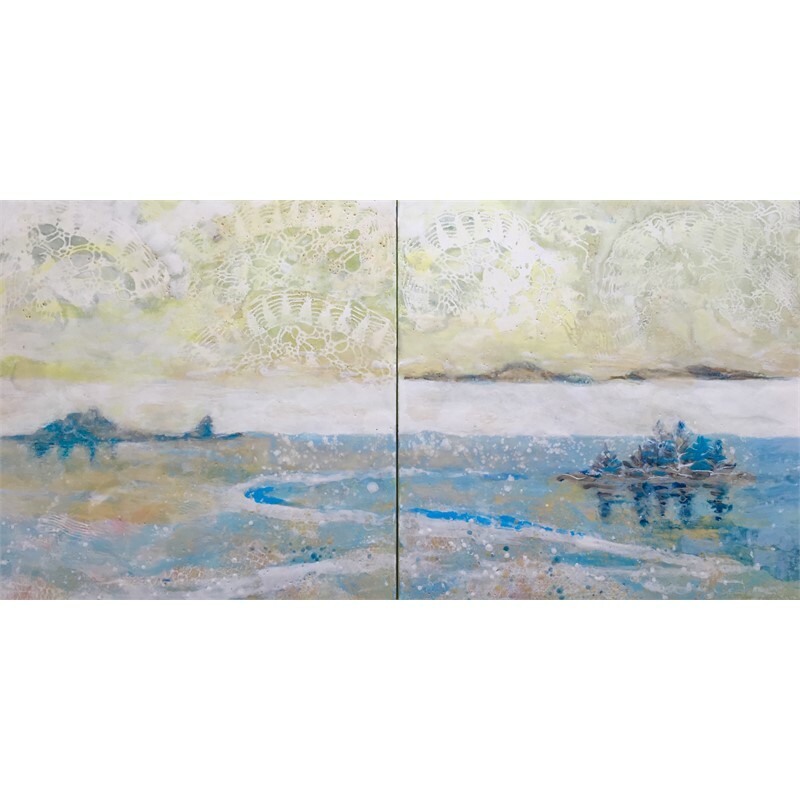 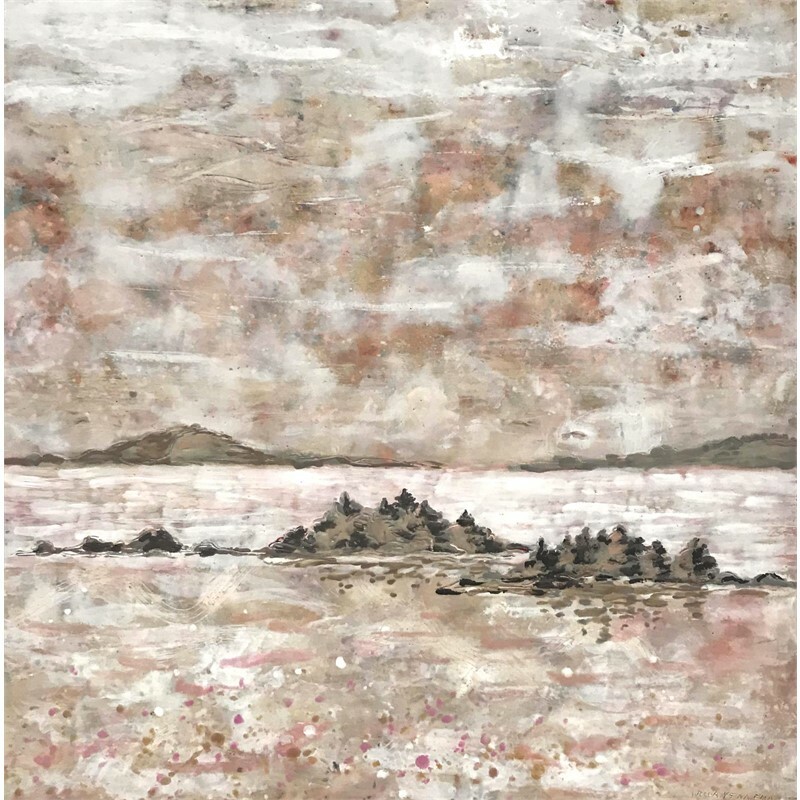 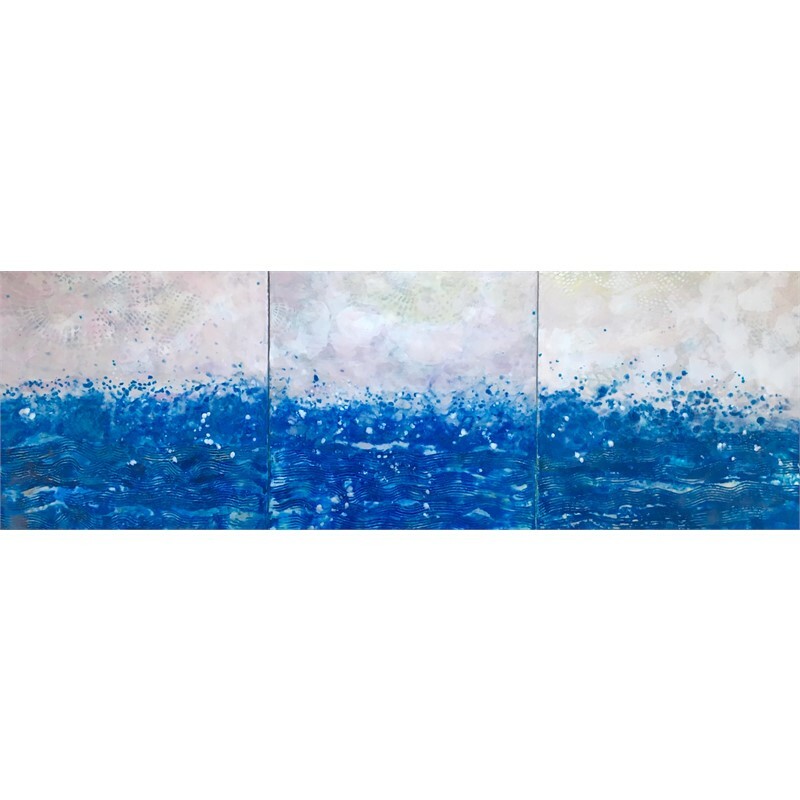 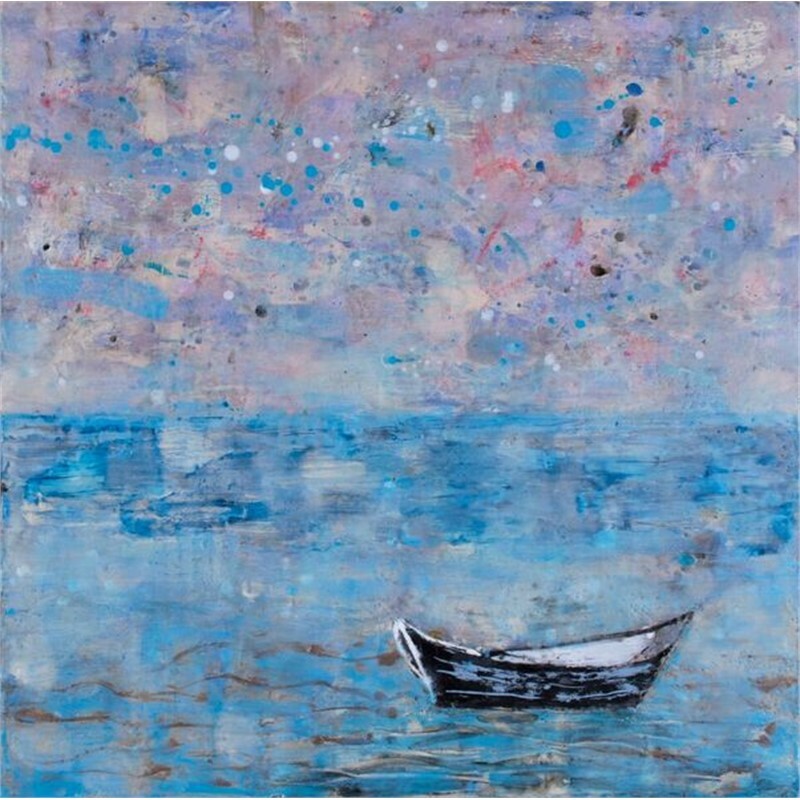 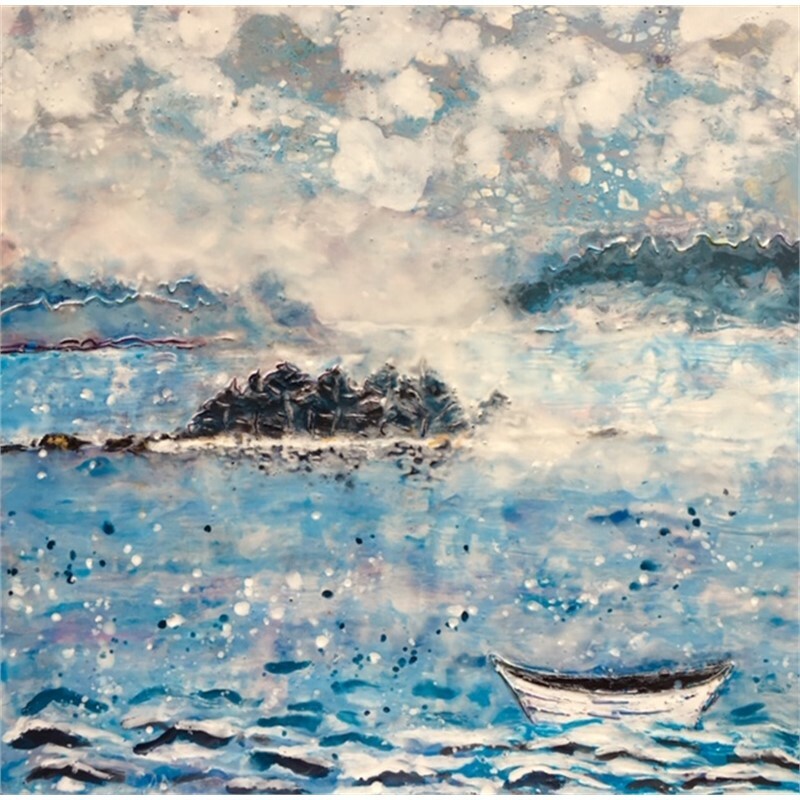 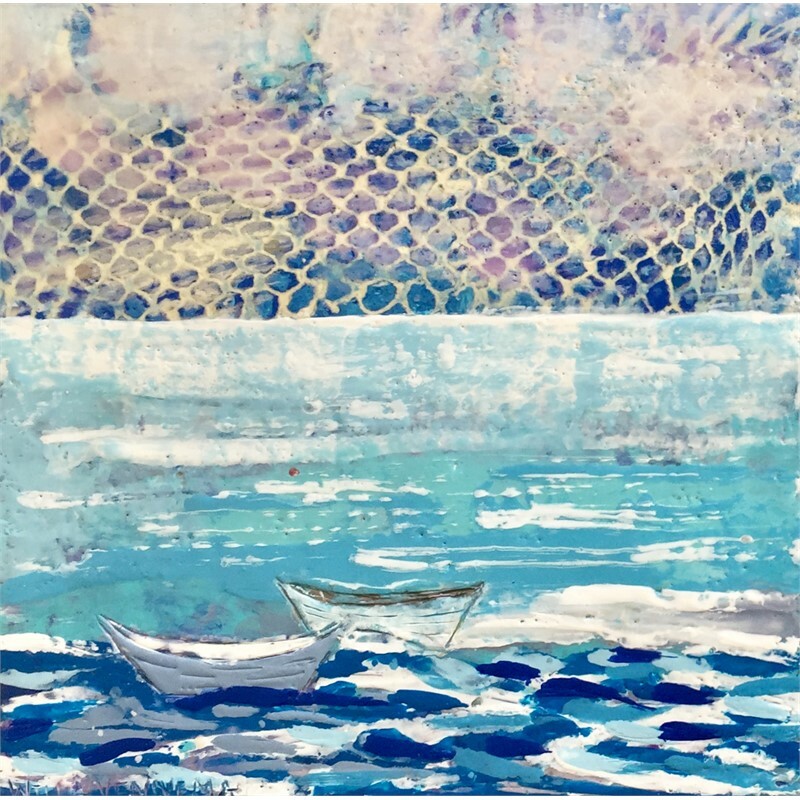 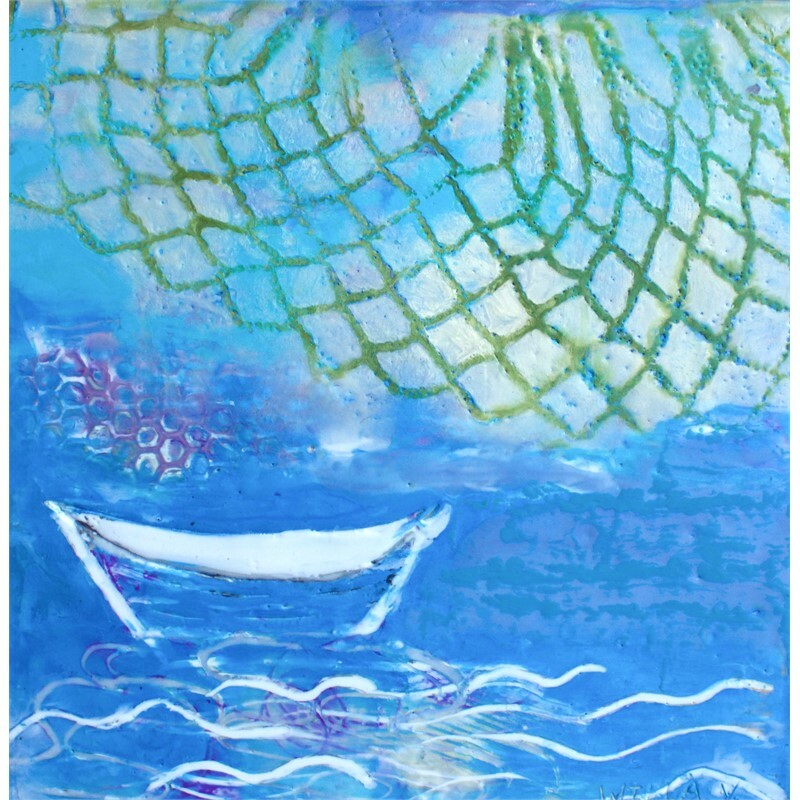 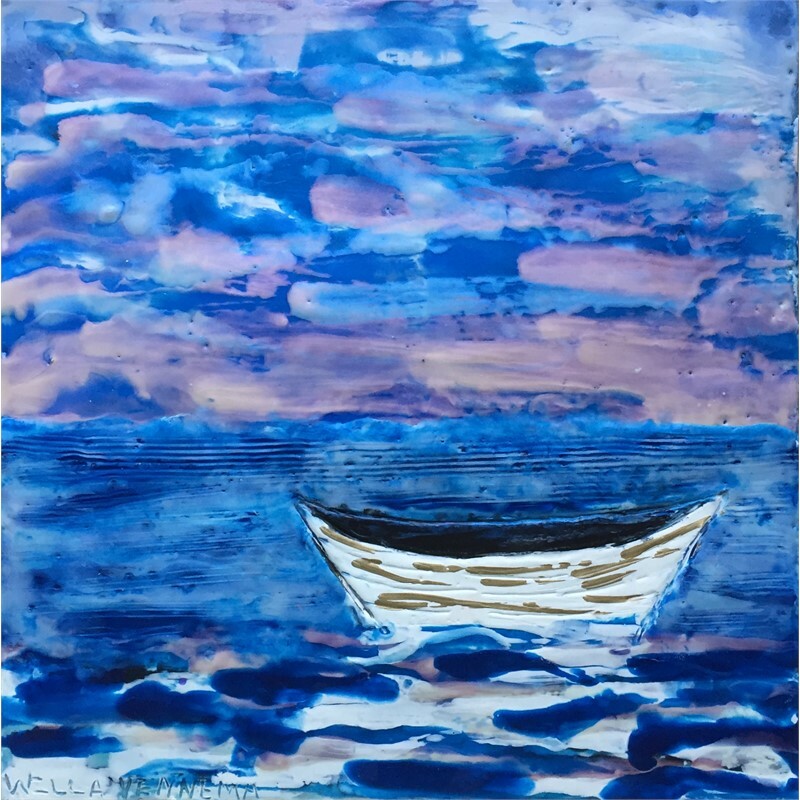 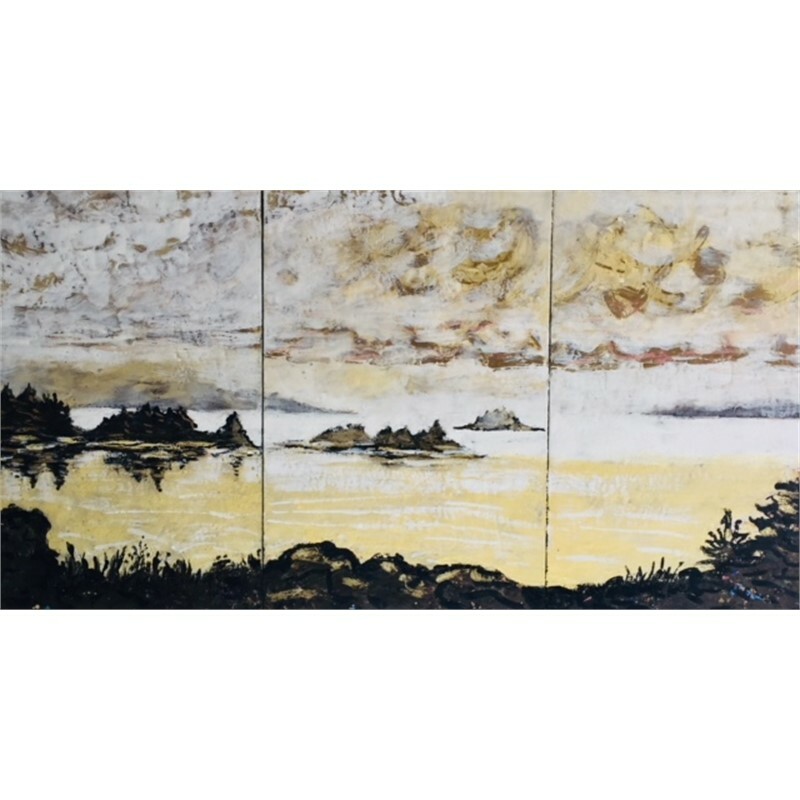 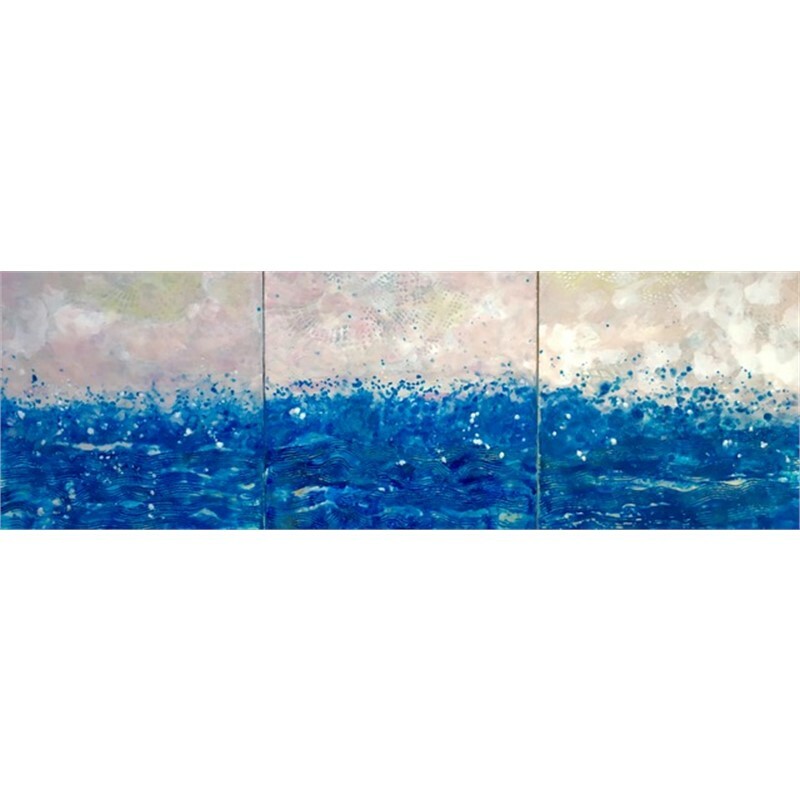 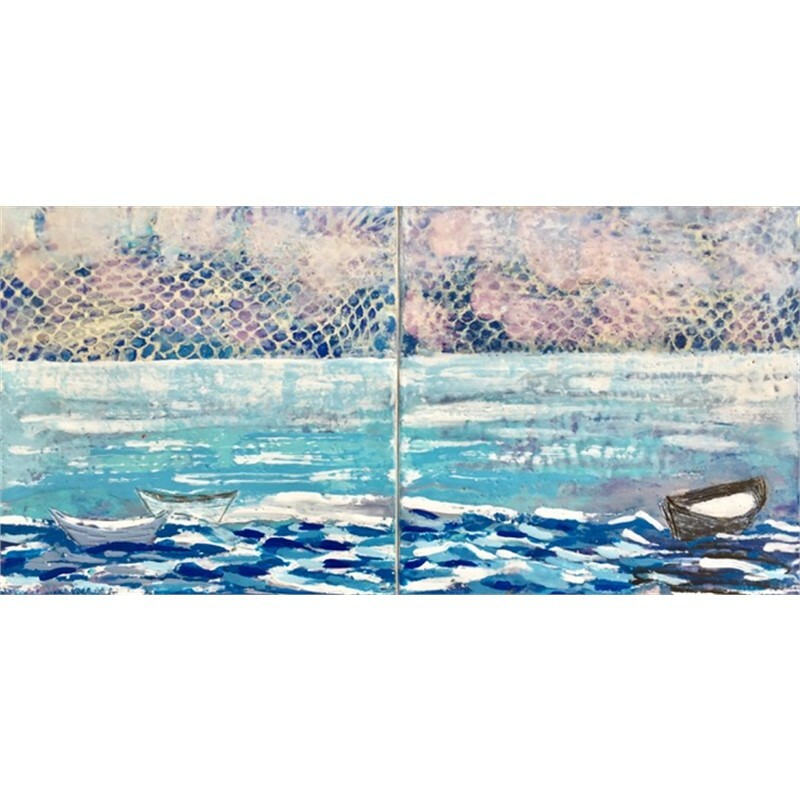 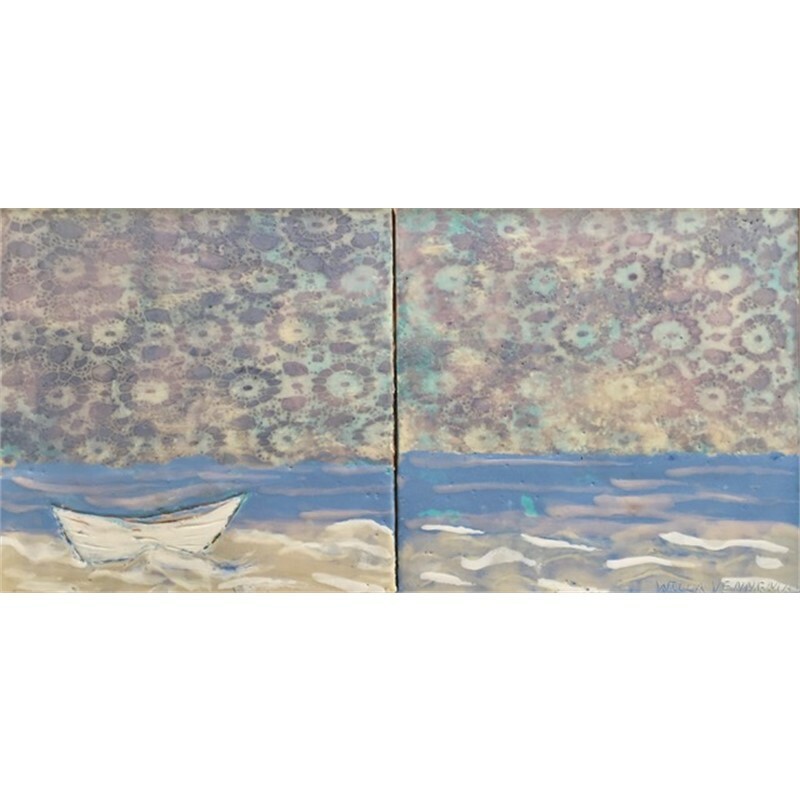 Vennema’s inspiration comes from both the magnificent beauty of the Maine Coast as well as from the process and materials used in encaustic painting. 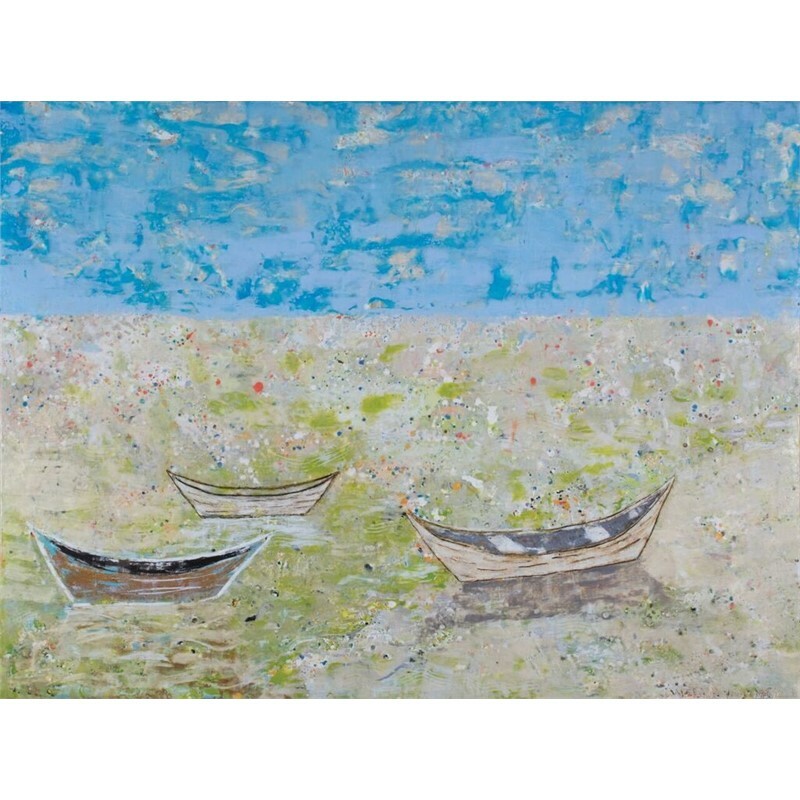 In the “Boat Series”, on going now for over 10 years, she explores the evocative qualities of the archetypal fishing boat, the dory. 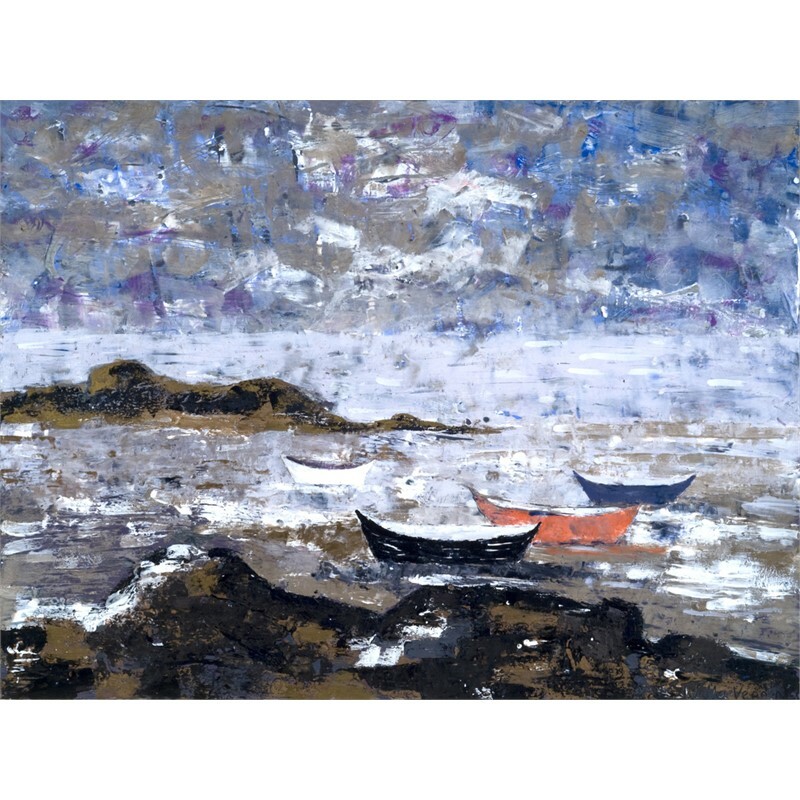 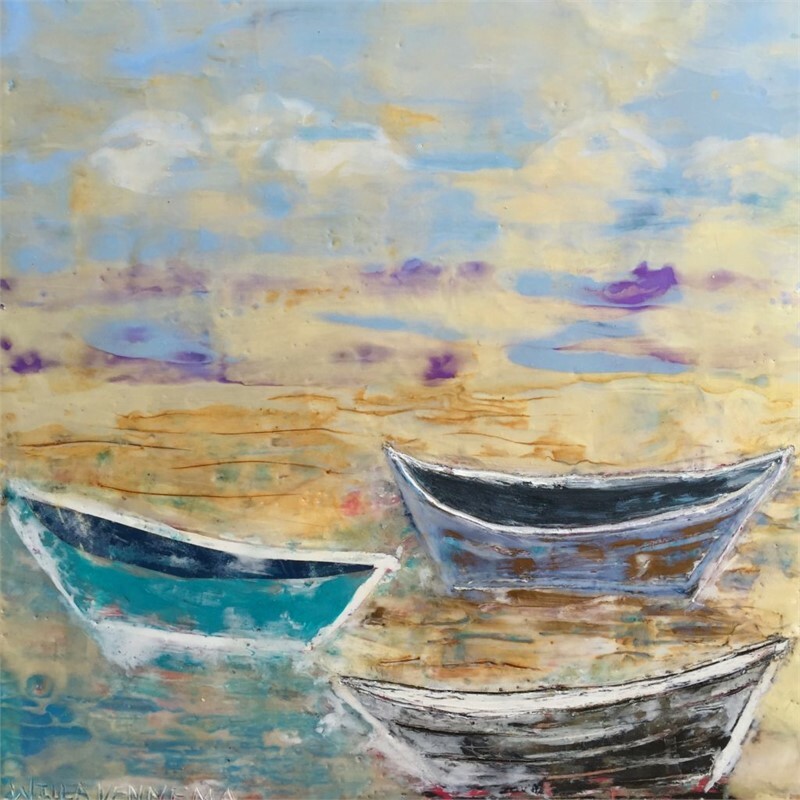 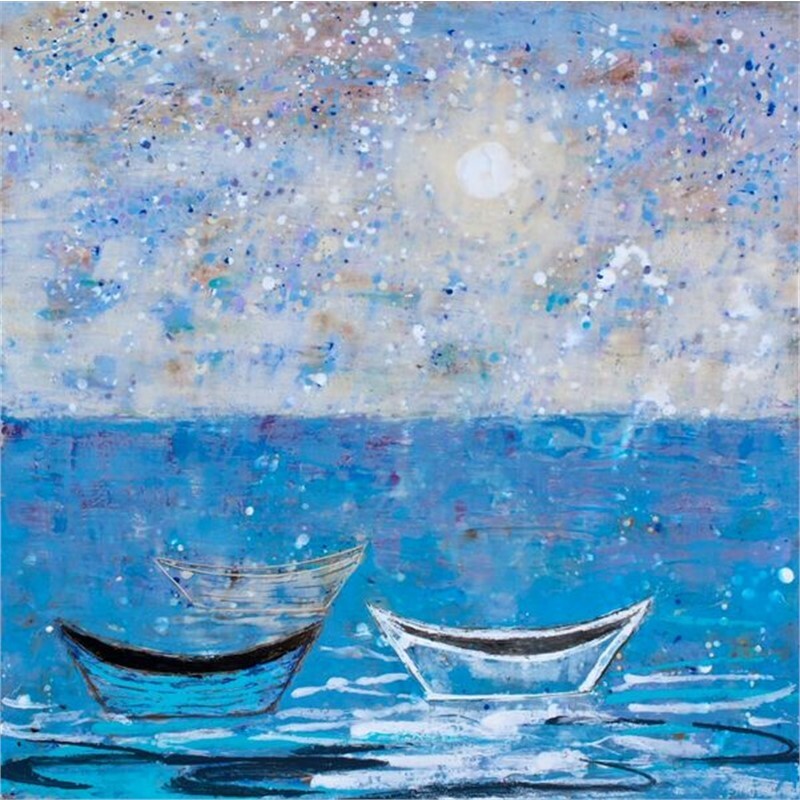 These boats can still be seen along the Maine coastline and Vennema employs them in her work as a metaphor for the passage of time, for the contrasting desires for adventure and stillness, and for the emotions of hope and loss. 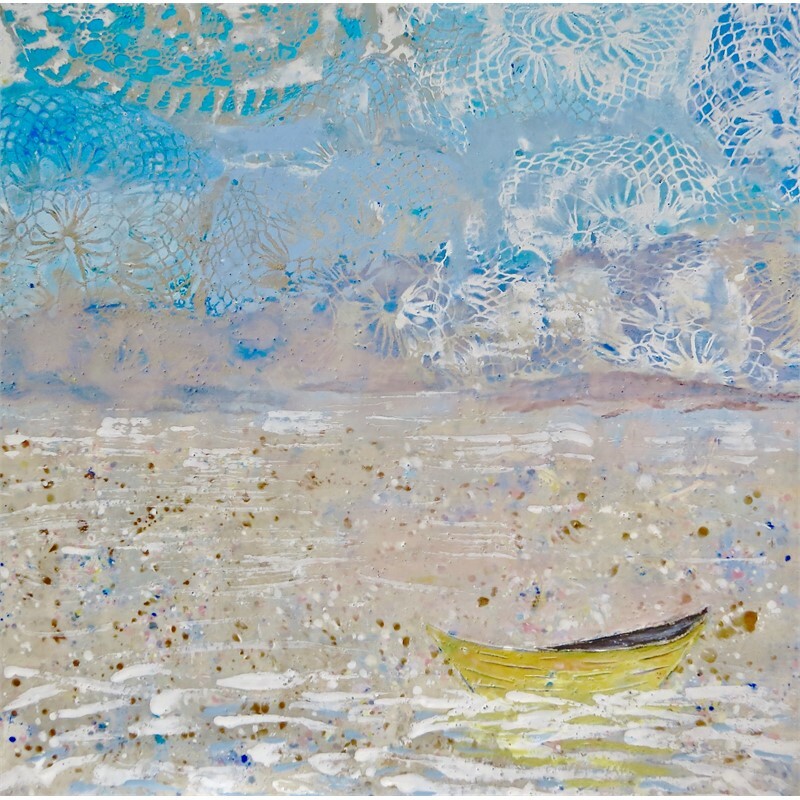 Vennema’s recent abstract series, “Hand Work”, utilizes several of the many techniques available to encaustic artists, including the ability to embed objects into the wax, as well as to use an object, such as a piece of lace, or doily, to make an impression into the wax. 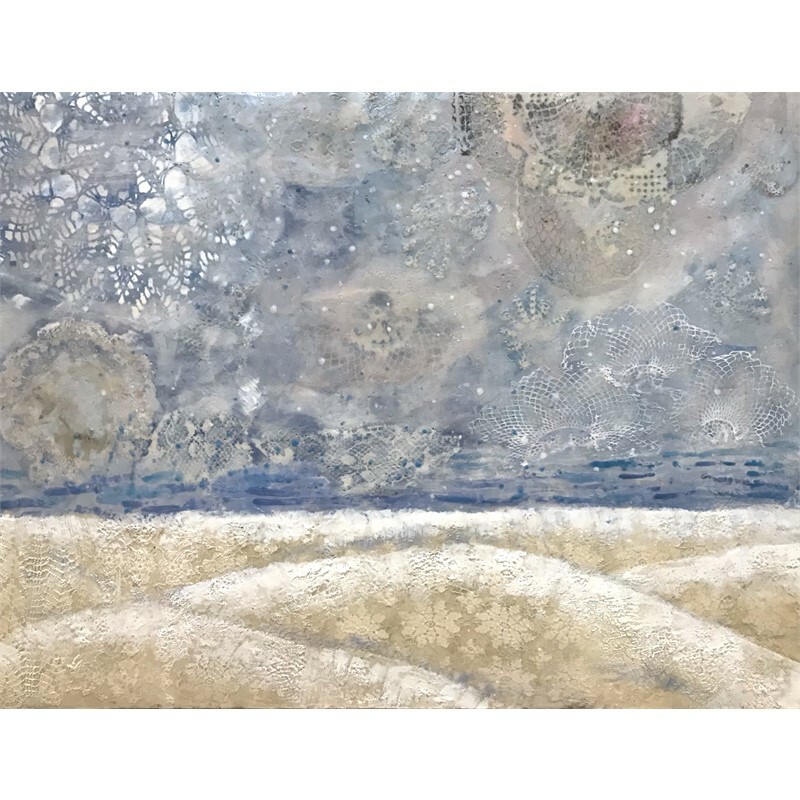 This series celebrates the beauty of these delicate objects, repurposes them, and elevates them to the domain of “Fine Art”, from that of the oft look down upon “craft”. 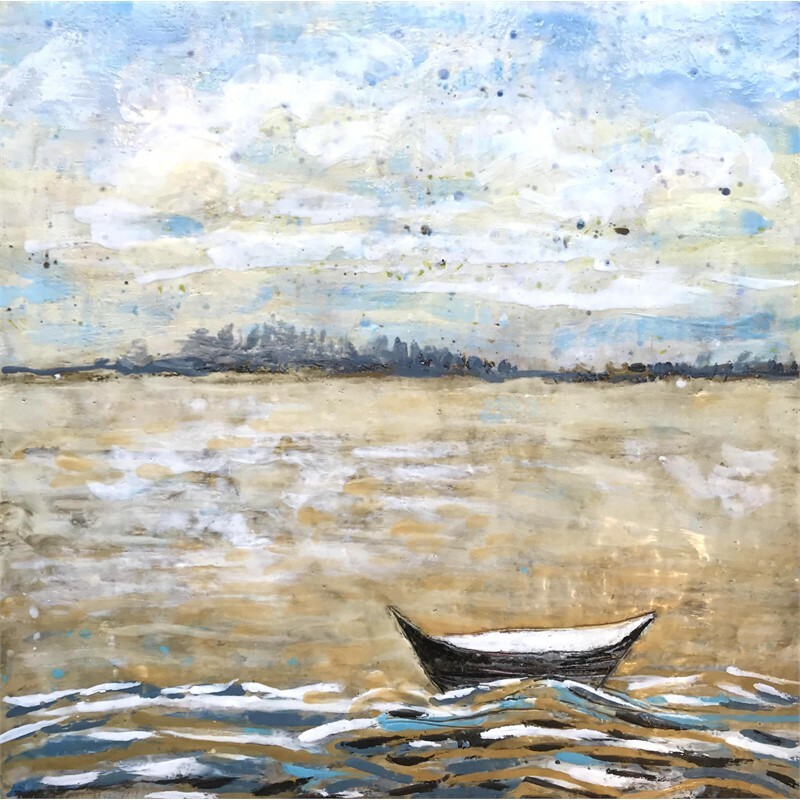 Vennema has shown in galleries throughout Maine and New England. 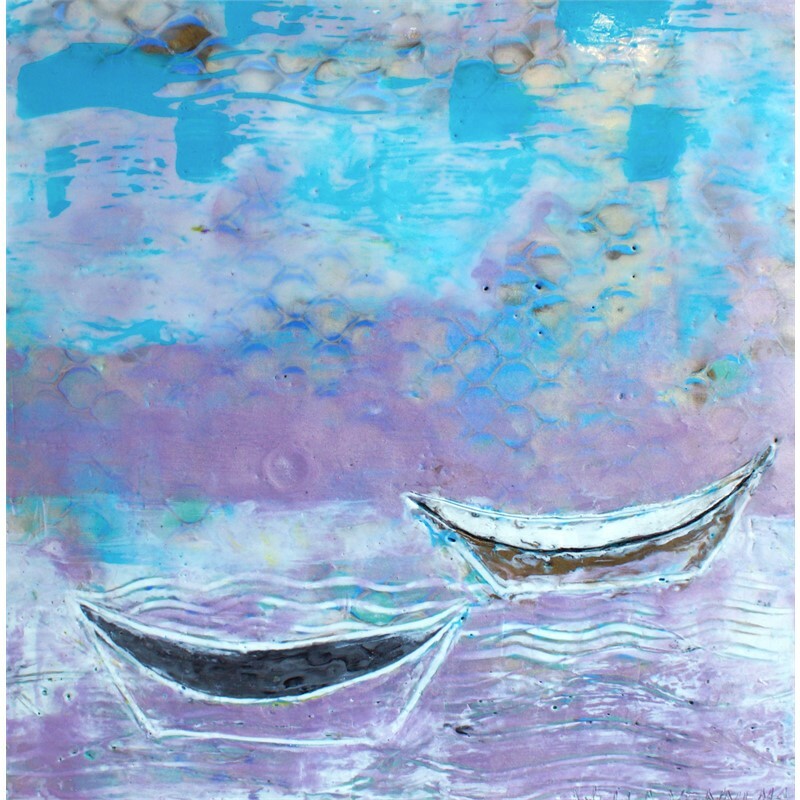 In addition to Portland Art Gallery, she is also represented at the Harbor Square Gallery in Rockland Maine. 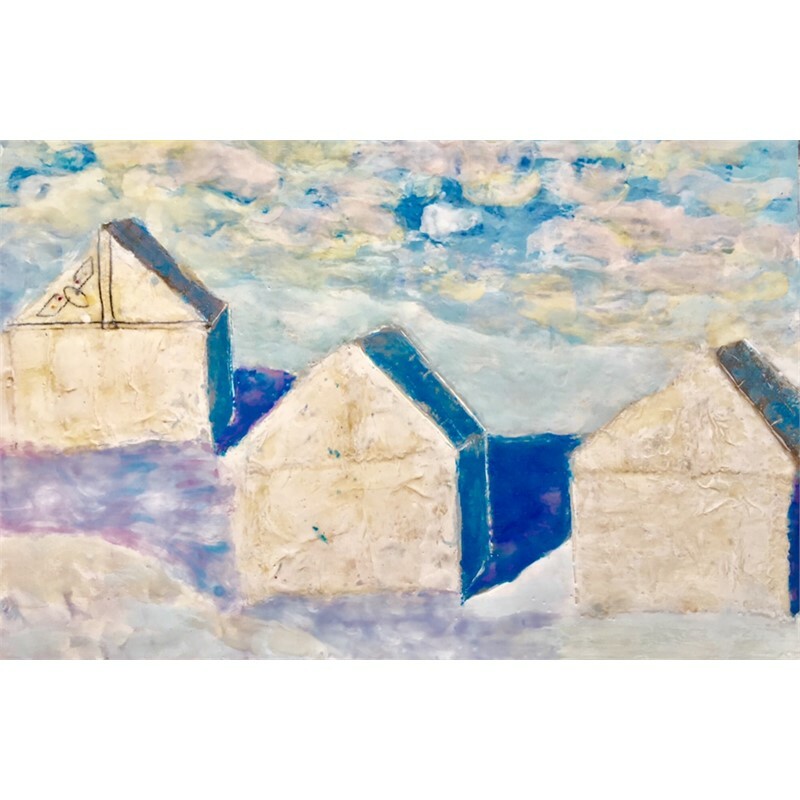 Vennema is a long term member of the professional artist’s group New England Wax, and shows regularly with this group in museums and university galleries throughout New England. 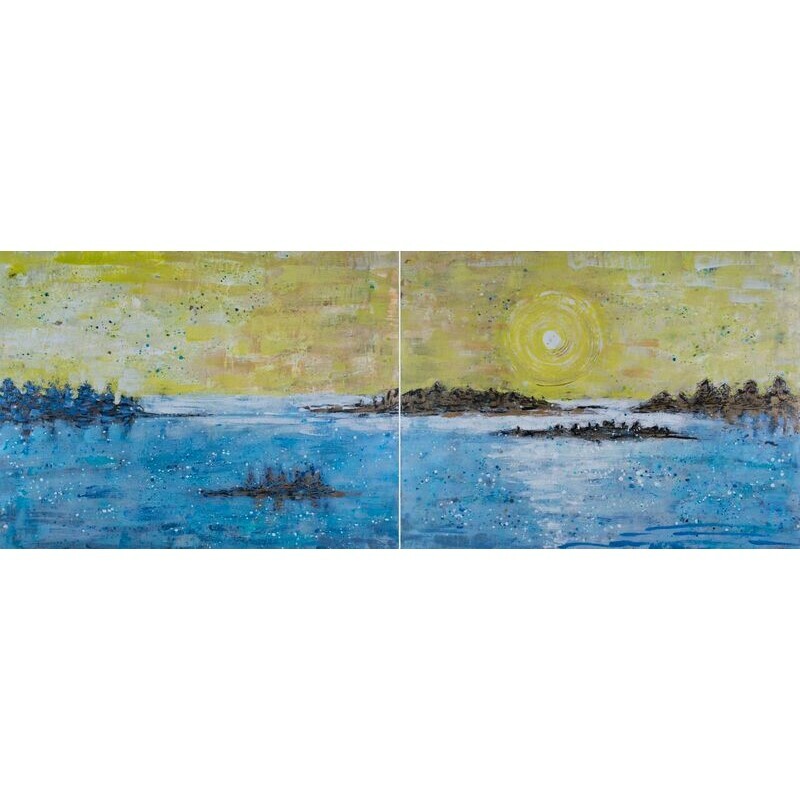 Her work is in well over 100 private collections, as well as Maine Medical Center, Avesta Housing, and Southern Maine Community College. 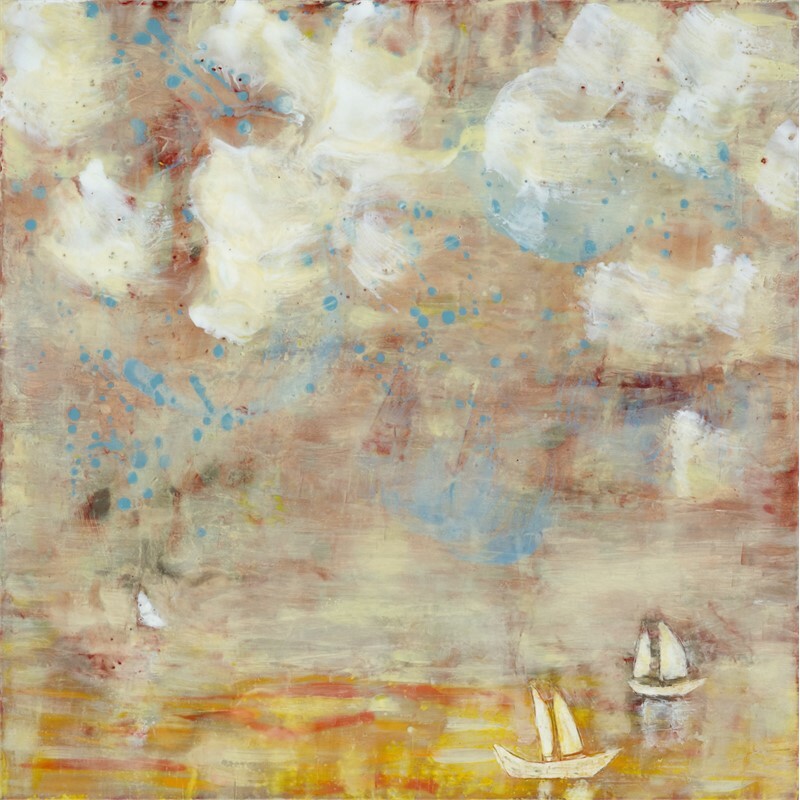 Vennema has a BA in Art History and Studio Art from Oberlin College, and a BFA from the Cooper Union. 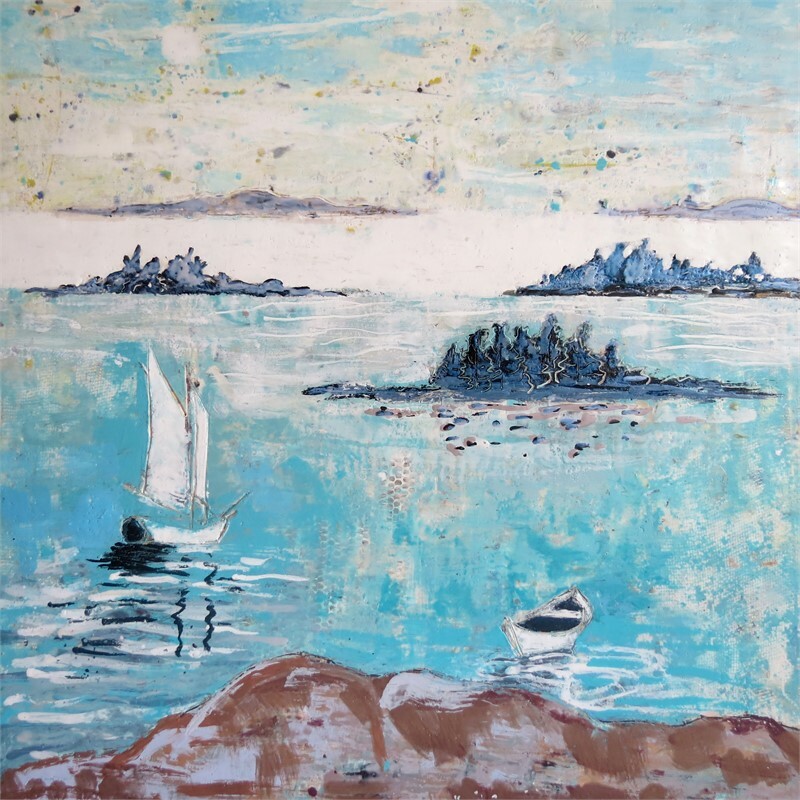 She resides in both Portland and Swans Island Maine. 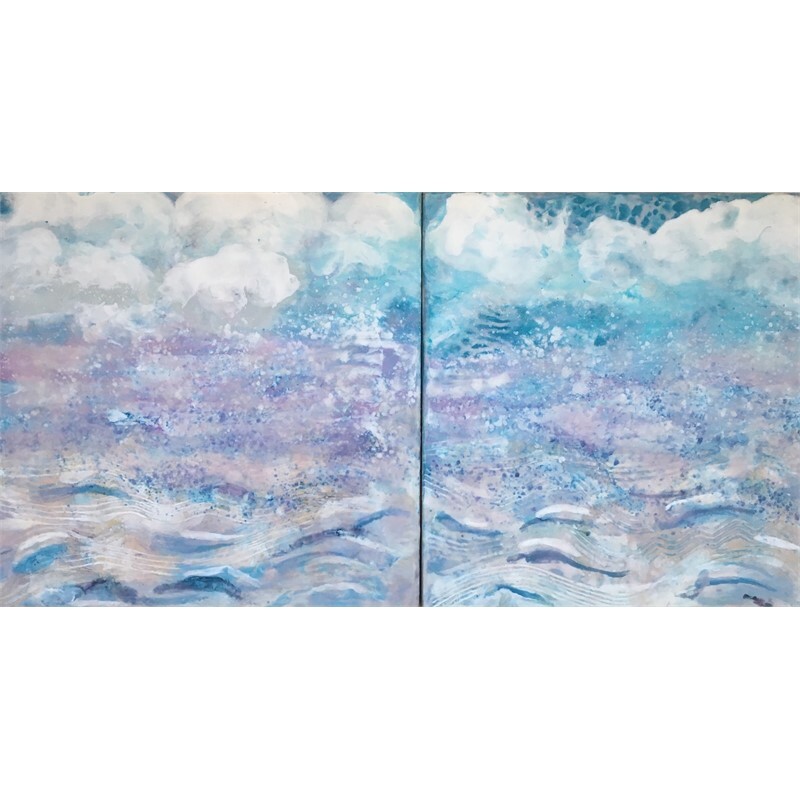 Vennema works in the encaustic medium to create luminous multilayered works made from a molten mixture of beeswax, damar crystals, pigments, and found materials. 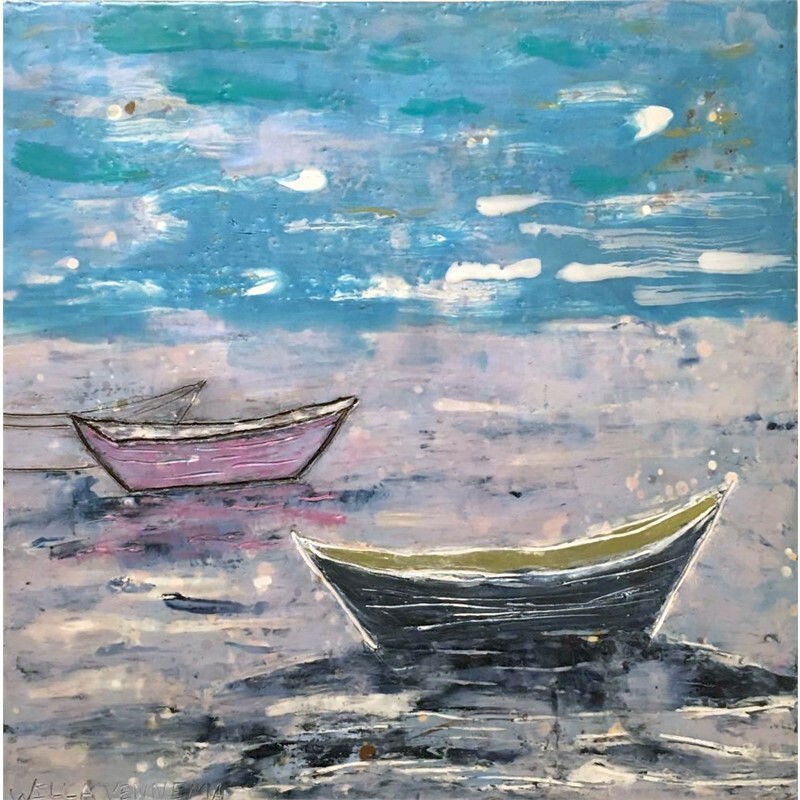 Vennema’s work is always evolving, and her paintings range from the abstract, as in her recent series “Hand Work”, to the semi-representational as in “The Boat Series” or “House Series”. 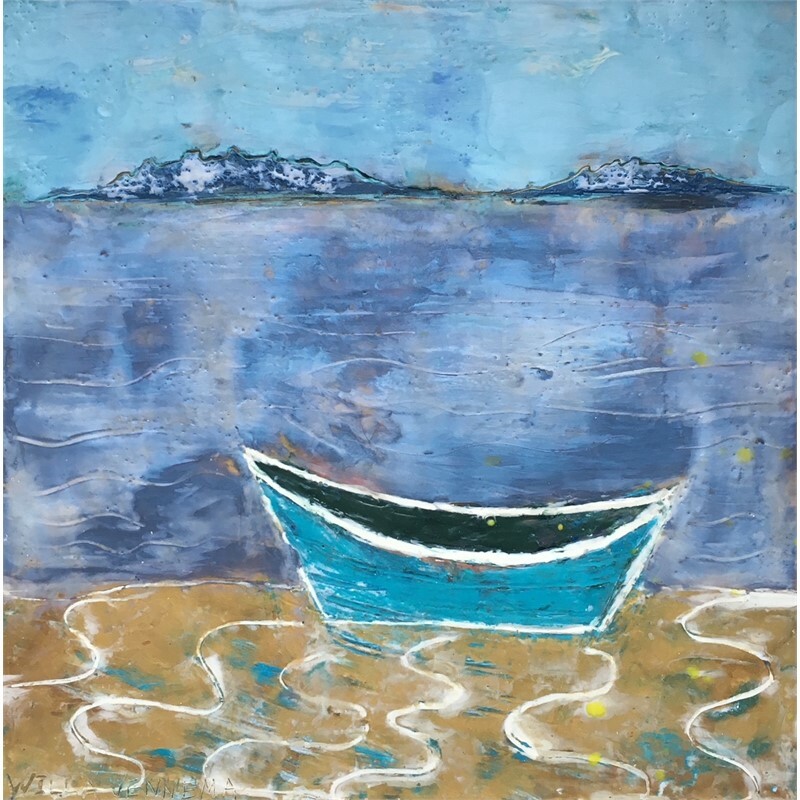 Vennema’s inspiration comes from both the magnificent beauty of the Maine Coast as well as from the process and materials used in encaustic painting. 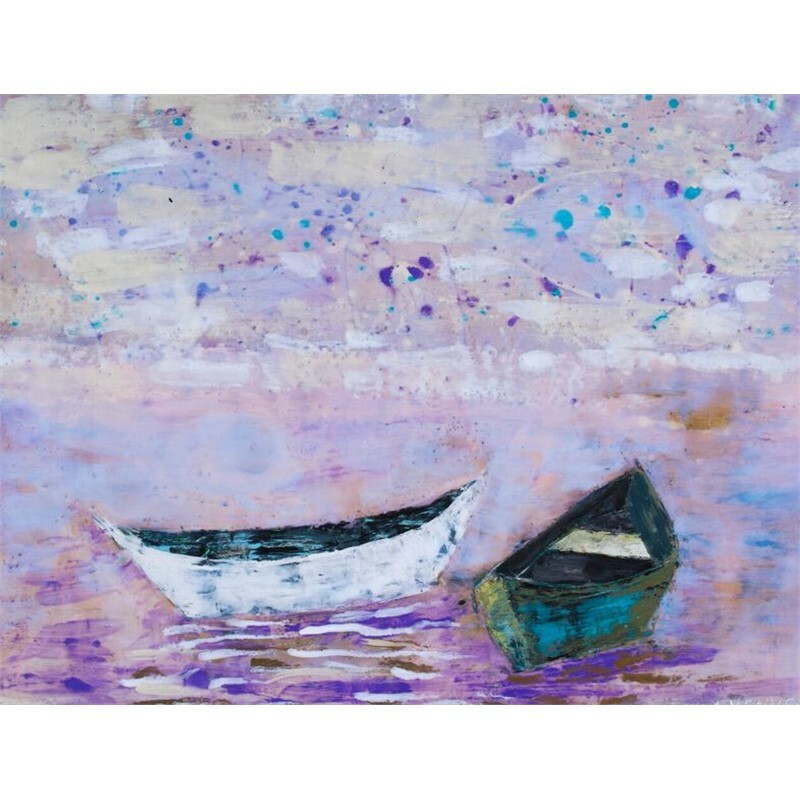 In the “Boat Series”, on going now for over 10 years, she explores the evocative qualities of the archetypal fishing boat, the dory. 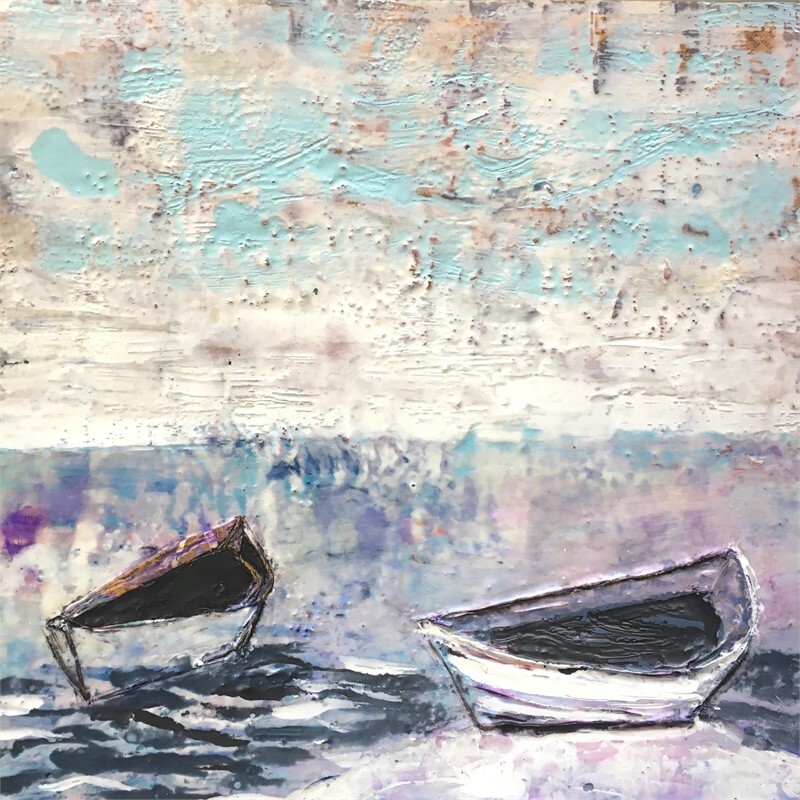 These boats can still be seen along the Maine coastline and Vennema employs them in her work as a metaphor for the passage of time, for the contrasting desires for adventure and stillness, and for the emotions of hope and loss. 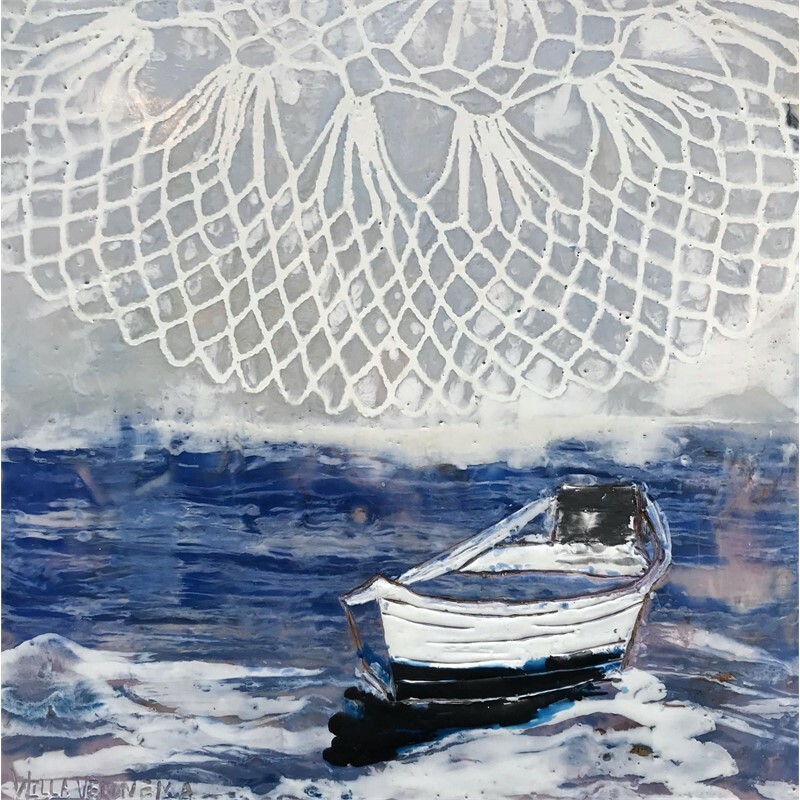 Vennema’s recent abstract series, “Hand Work”, utilizes several of the many techniques available to encaustic artists, including the ability to embed objects into the wax, as well as to use an object, such as a piece of lace, or doily, to make an impression into the wax. 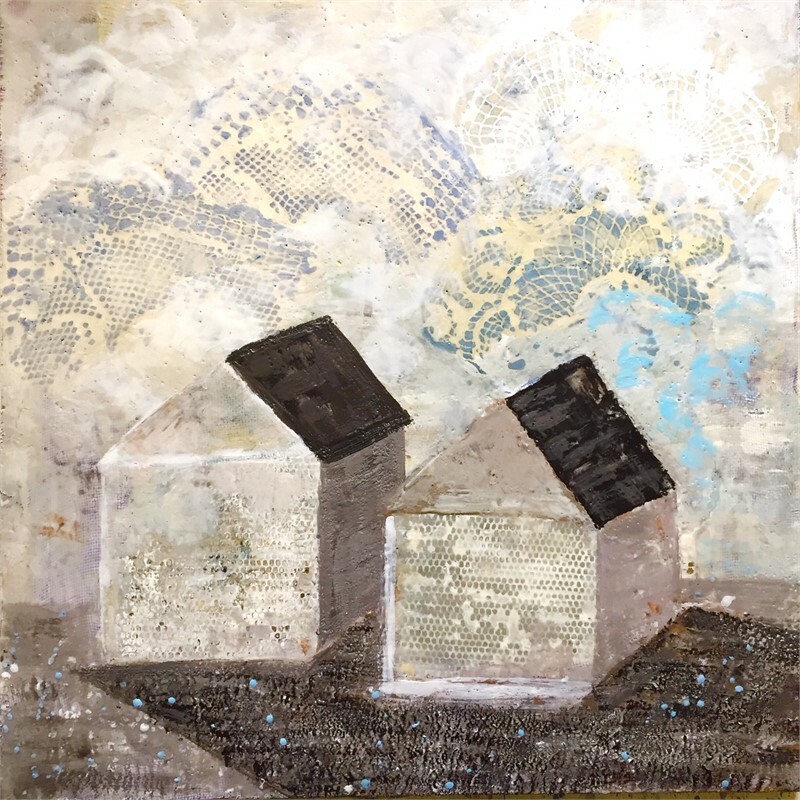 This series celebrates the beauty of these delicate objects, repurposes them, and elevates them to the domain of “Fine Art”, from that of the oft look down upon “craft”. 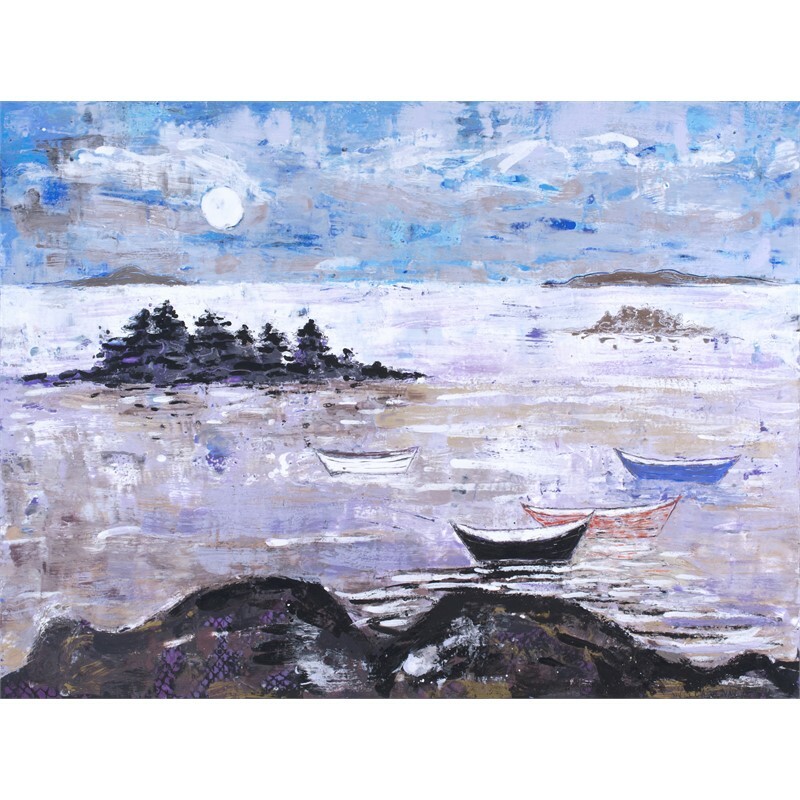 Vennema has shown in galleries throughout Maine and New England. 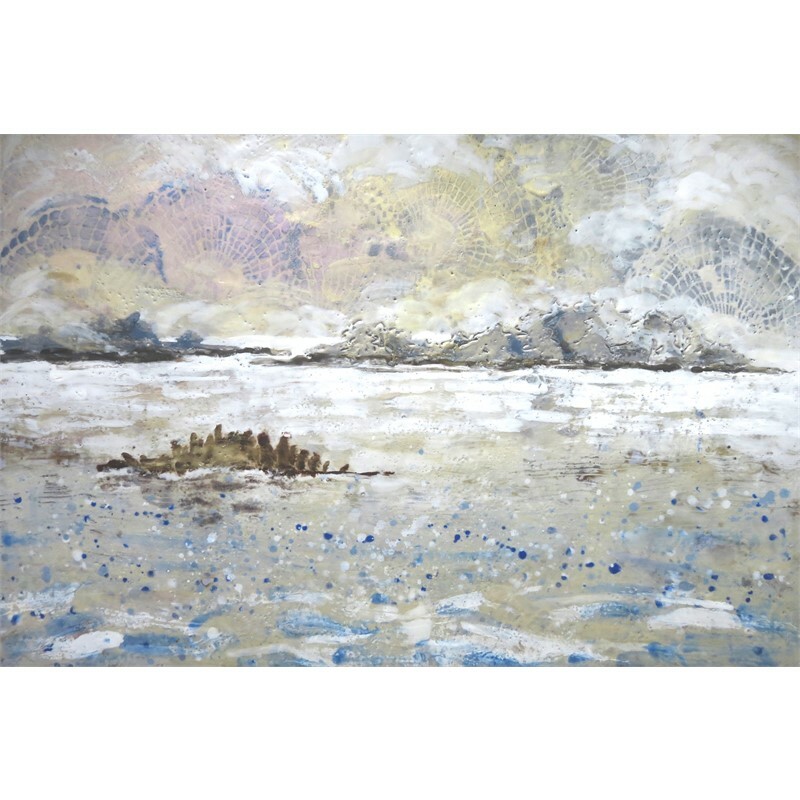 In addition to Portland Art Gallery, she is also represented at the Harbor Square Gallery in Rockland Maine. 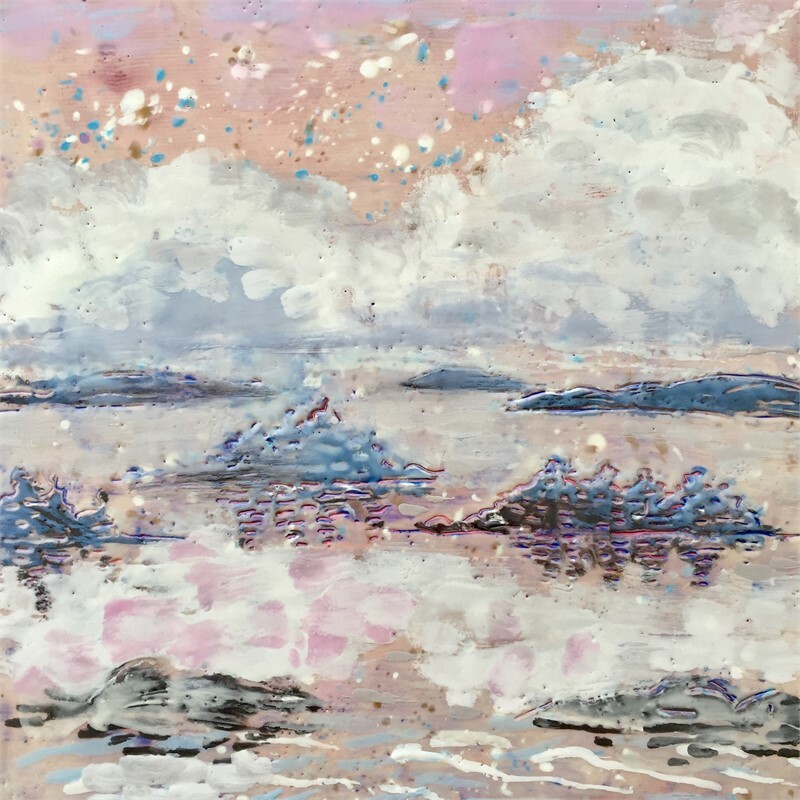 Vennema is a long term member of the professional artist’s group New England Wax, and shows regularly with this group in museums and university galleries throughout New England. 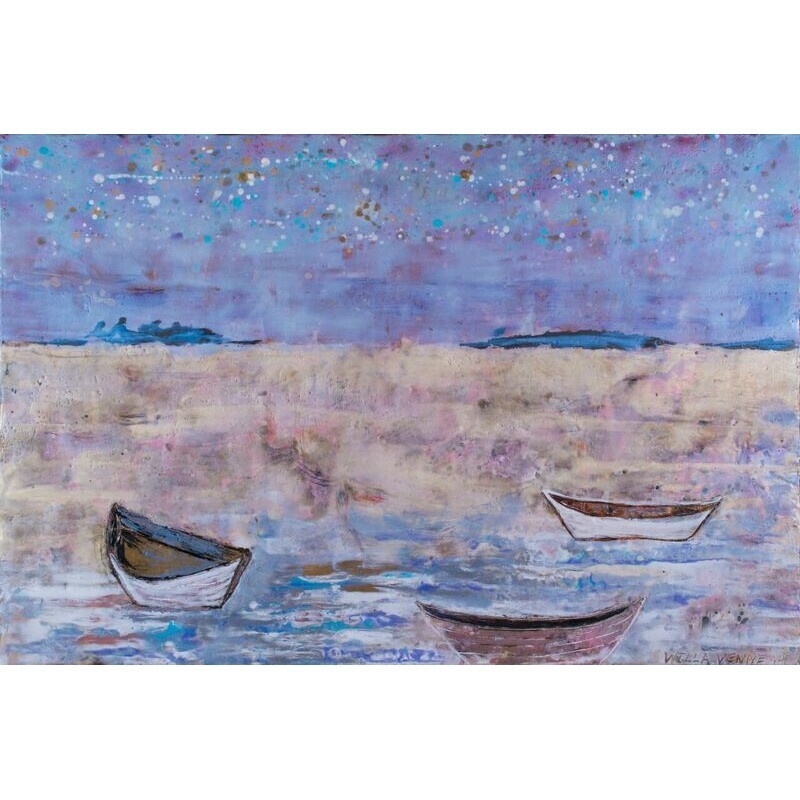 Her work is in well over 100 private collections, as well as Maine Medical Center, Avesta Housing, and Southern Maine Community College. 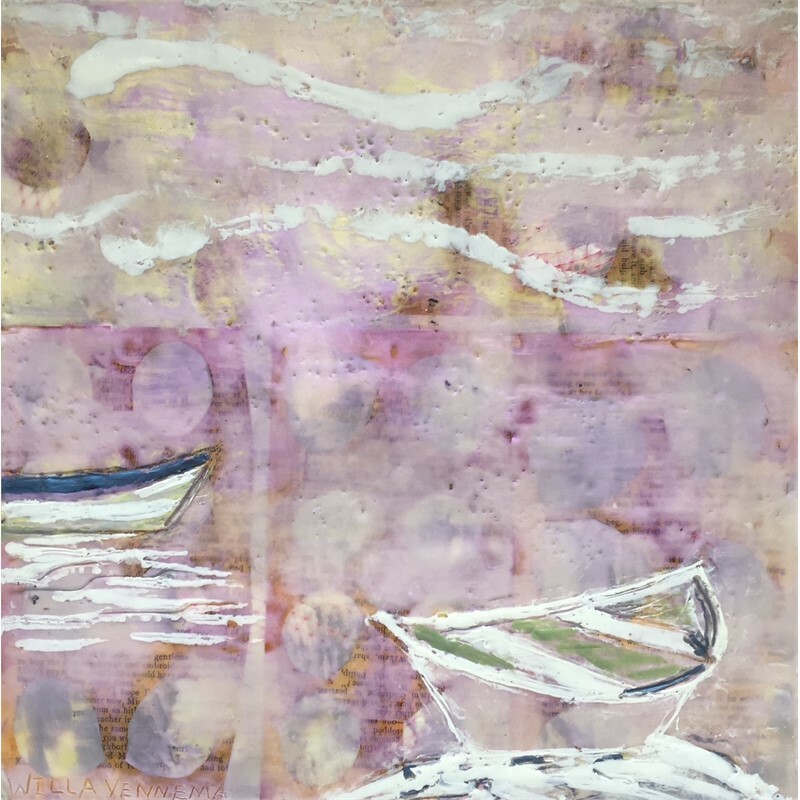 Vennema has a BA in Art History and Studio Art from Oberlin College, and a BFA from the Cooper Union. 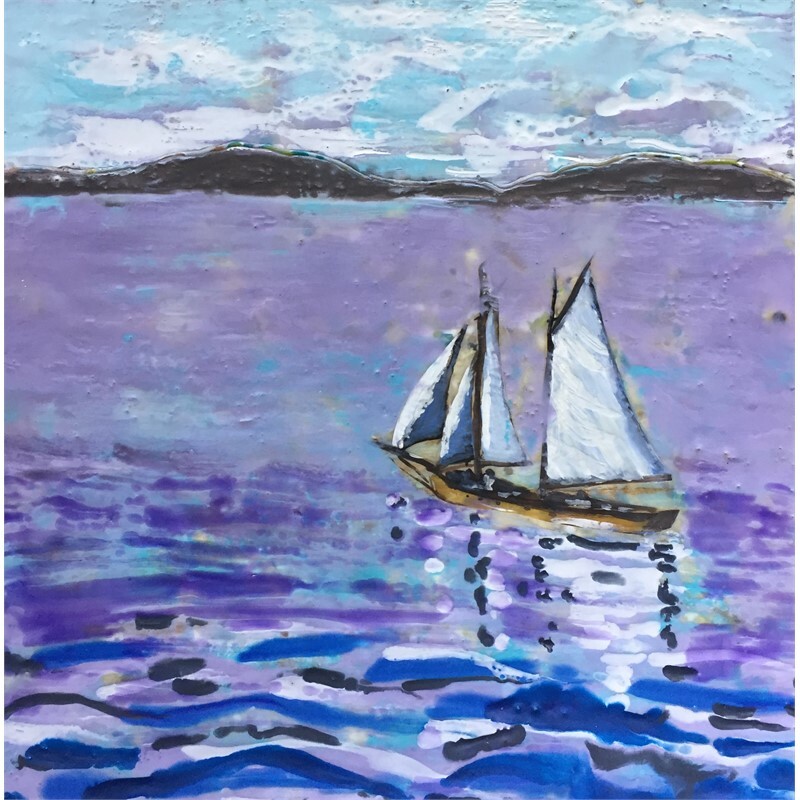 She resides in both Portland and Swans Island Maine.